Congratulations to Amy Poehler and Tina Fey for their first win in an Emmys acting category as a pair. I won’t deny them their brilliance as performers and comediennes. However, it’s high time the Television Academy separate regular fiction from variety entertainment. 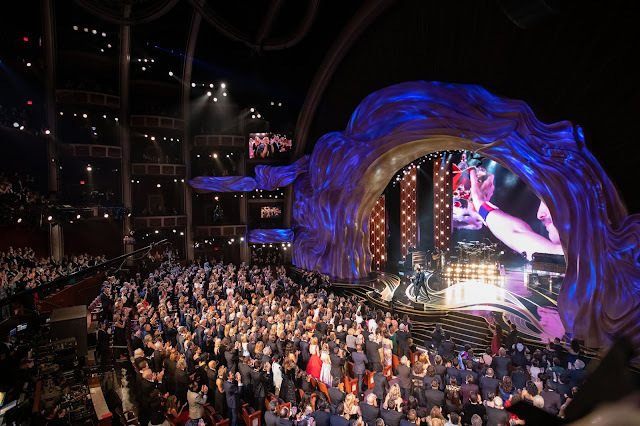 With the number of Emmy categories somewhere between 100 and 120, it won’t be so shocking to see another set of acting/performing-in-variety-programs categories. Then maybe an Amy Schumer or a Keegan-Michael Peele will get the recognition they deserve. And more importantly, the work of actors and actresses, who work episode after episode and season after season to build a character, will be recognized and awarded as they so deserve. That’s wishful thinking though. For now, this is what the Emmys are. So let’s get on with it. Last year, the TV Academy really changed things up. GAME OF THRONES finally won Outstanding Drama. Jon Hamm finally won for MAD MEN. The dominance of MODERN FAMILY and Jim Parsons ended. Uzo Aduba became the first actress to have won Emmys for the same role in drama and comedy categories. Viola Davis became the first African American to have won Outstanding Actress – Drama. And so on… A few usual suspects, such as Julia Louis-Dreyfus and Allison Janney had unsurprising wins. But, on the whole, it was quite unpredictable. Will this year’s Emmys offer us another shake-up? Will they go with older favorites? Or will they take last year’s results and follow a new trend with similar results for the next few years? I want HOMELAND to win for its exemplary fifth season. I want DONWTON to win for its perfect final season. However, I’m quite sure GAME OF THRONES has started on a winning streak, and that will continue this year. I suspect that this will also be influenced by the fact that GAME OF THRONES won’t be eligible next year, since its seventh season has been pushed to a date that will fall outside of the Emmys consideration period for 2016-17. Maybe Kevin Spacey will finally win an Emmy for HOUSE OF CARDS. Maybe this is the year for THE AMERICANS—at least in the lead acting (drama) categories—which means new entrant Matthew Rhys will win. It’s really difficult to say for this category, since none of roles that have won for the last eight years are in the mix this year. The Academy has given it to Kyle Chandler for FRIDAY NIGHT LIGHTS before. This time, maybe he’ll win for BLOODLINE. But I really think that the past several winners not being around has cleared the way for Spacey to win this time. I really hope it’s Keri Russell. She’s been amazing on THE AMERICANS every season, but especially so in the most recent fourth, what with Elizabeth seducing her friend’s husband, and protecting her daughter from muggers like a lioness. Unfortunately for Russell, I think the Academy will award Viola Davis’ intense performance as Annalise Keating for a second time. Since it’ll be another year for GAME OF THRONES to win big, I think Peter Dinklage will win. And when he does, he will join Aaron Paul as one of only two surviving persons to have won three Emmys in this category. The buzz is that this is Constance Zimmer’s year. She could win. However, I suspect that this year is going to be even bigger for GAME OF THRONES than last year was, especially considering the overwhelming number of acting nominations the show has got this time. Given that, I think it’ll be Lena Headey this year. Michael Engler, DOWNTON ABBEY – "Episode Nine"
Miguel Sapochnik, GAME OF THRONES – "Battle of the Bastards"
Jack Bender, GAME OF THRONES – "The Door"
Lesli Linka Glatter, HOMELAND – "The Tradition of Hospitality"
David Hollander, RAY DONOVAN – "Exsuscito"
HOMELAND’s nominated episode is strong, but I think GAME OF THRONES is winning this one too. Joel Fields and Joe Weisberg, THE AMERICANS – "Persona Non Grata"
Julian Fellowes, DOWNTON ABBEY – "Episode Eight"
David Benioff and D. B. Weiss, GAME OF THRONES – "Battle of the Bastards"
Michelle King and Robert King, THE GOOD WIFE – "End"
Sam Esmail, MR ROBOT – "eps1.0_hellofriend.mov"
Marti Noxon and Sarah Gertrude Shapiro, UNREAL – "Return"
GAME OF THRONES could win again. It is the HBO show’s year. However, I think the Academy will show some appreciation for MR ROBOT in this category. VEEP will take it away again this year. 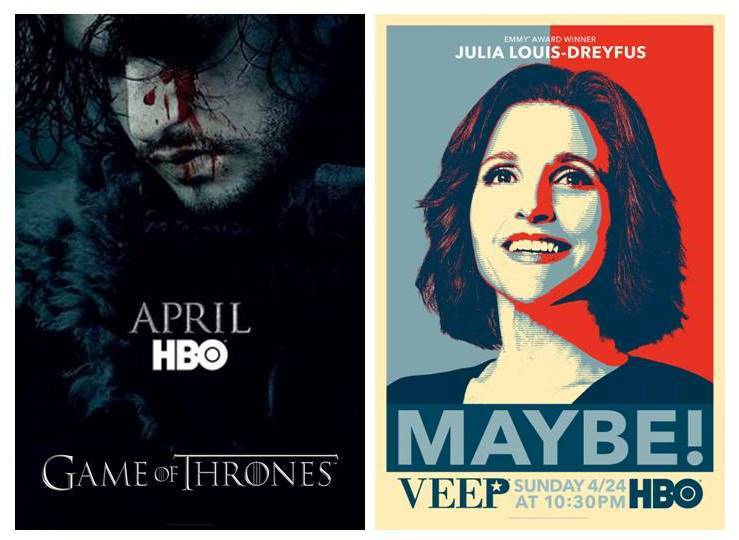 I don’t think either GAME OF THRONES or VEEP are done winning the big prizes. Although, I really hope MODERN FAMILY wins a fifth Emmy, and becomes the show with the most wins in this category. Just like the winning streak Jim Parsons had with THE BIG BANG THEORY, the current phase is Jeffrey Tambor’s with TRANSPARENT. Julia Louis-Dreyfus will win her fifth Emmy for VEEP this year, and she’ll have won a total of eight Emmys. If anyone else should win, it should be Lily Tomlin. Tony Hale and Ty Burrell have both won in this category, twice each. It could be one of them again. But unless one of the new entrants, Louie Anderson or Matt Walsh, mix things up, I think it’ll be Tony Hale again. New entrant Judith Light really deserves to win this. She’s really good as the annoying, yet endearing Shelly Pfefferman on TRANSPARENT. However, I think the equally deserving Allison Janney will continue on her winning streak for MOM, rounding off her total number of Emmy wins to eight, just like Julia Louis-Dreyfus. Aziz Ansari, MASTER OF NONE – "Parents"
Alec Berg, SILICON VALLEY – "Daily Active Users"
Mike Judge, SILICON VALLEY – "Founder Friendly"
Jill Soloway, TRANSPARENT – "Man on the Land"
David Mandel, VEEP – "Kissing Your Sister"
Chris Addison, VEEP – "Morning After"
Dale Stern, VEEP – "Mother"
The odds are in its favor, so it would be a surprise if this one isn’t a sweep for VEEP. It hasn’t won before, but the Academy has acknowledged VEEP more this year than before, so…! Rob Delaney and Sharon Horgan, CATASTROPHE – "Episode 1"
Aziz Ansari and Alan Yang, MASTER OF NONE – "Parents"
Dan O'Keefe, SILICON VALLEY – "Founder Friendly"
Alec Berg, SILICON VALLEY – "The Uptick"
David Mandel, VEEP – "Morning After"
Alex Gregory and Peter Huyck, VEEP – "Mother"
The sweep for VEEP will continue here. It could be any episode! I wish it would go to FARGO. I really do. However, I suspect this will be the year for THE PEOPLE V OJ. It’ll be between ALL THE WAY and CONFIRMATION. I suspect. The latter is my pick. If SHERLOCK wins, I’ll scream. I was shocked that that abomination even made it to this list. Considering the caliber of most of the performers and their history at awards in general, it becomes difficult to pick. Cumberbatch has had his win, after which the Academy moved on. Elba could win for the last two episodes of LUTHER. However, I think it’ll be one of the PEOPLE V OJ actors. My guess: Courtney B Vance. I really hope and wish Kirsten Dunst wins it for this. She was extraordinarily brilliant on FARGO. While I think it’s the year for PEOPLE V OJ, which would push things in Paulson’s favor, I think, in this category, Dunst will become the exception. If someone from PEOPLE V OJ wins, I hope it’s Sterling Brown. I want this one to go to the Plemons for his effortless portrayal of panicky-calm on FARGO. However, I think John Travolta will win. I wouldn’t be surprised if Regina King takes it away again for AMERICAN CRIME. However, I think this year, Jean Smart’s restrained, yet effective performance will be rewarded. Noah Hawley, FARGO – "Before the Law"
Ryan Murphy, THE PEOPLE V OJ SIMPSON – "From the Ashes of Tragedy"
Anthony Hemingway, THE PEOPLE V OJ SIMPSON – "Manna from Heaven"
John Singleton, THE PEOPLE V OJ SIMPSON – "The Race Card"
It seems obvious! It’s THE PEOPLE V OJ’s year. Bob DeLaurentis, FARGO – "Loplop"
Noah Hawley, FARGO – "Palindrome"
Scott Alexander and Larry Karaszewski, THE PEOPLE V OJ SIMPSON – "From the Ashes of Tragedy"
DV DeVincentis, THE PEOPLE V OJ SIMPSON – "Marcia, Marcia, Marcia"
Joe Robert Cole, THE PEOPLE V OJ SIMPSON – "The Race Card"
I hope FARGO gets this at least. Having been through all of the above categories, it turns out that I think this year will be one of the more predictable ones. GAME OF THRONES, VEEP, PEOPLE V OJ will win big, with a little bit of HOW TO GET AWAY WITH MURDER, HOUSE OF CARDS, TRANSPARENT, MOM and FARGO thrown into the mix. For what actually goes down this Sunday, let’s wait and watch. Also, I’m quite looking forward to Jimmy Kimmel hosting. He should make things fun.